Here’s a fun kid’s activity and an adorable shirt! 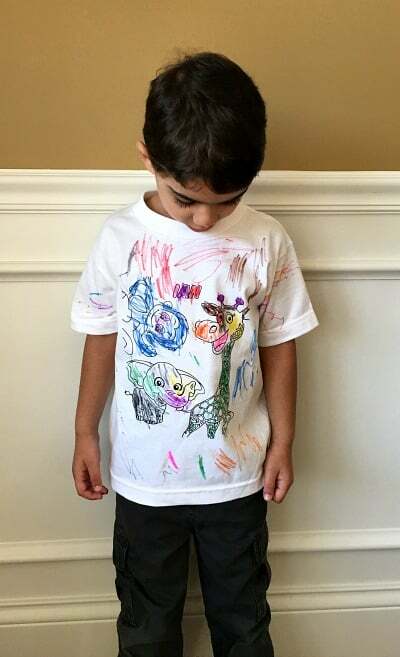 You can snag this zoo animals kid’s washable coloring t-shirt for only $14.95 plus $3.00 shipping! 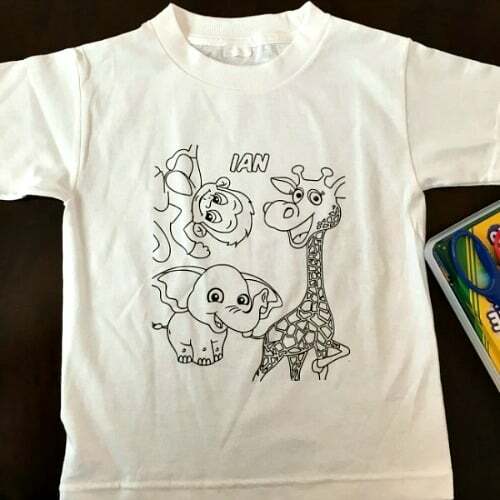 Your child will have a blast using their washable markers to color this zoo animals t-shirt then once their masterpiece is complete they can wear it proudly for all to see. Then you can toss it into the washer and your child can enjoy coloring it again! How cool! These shirts make great gift ideas and fun activities for kids’ parties too! My son having fun coloring his washable coloring shirt! You can personalize this shirt by adding your child’s name. 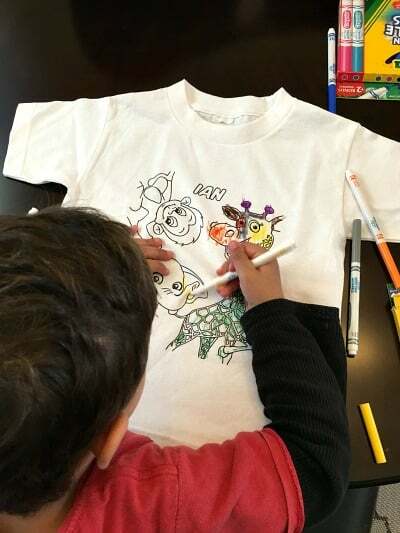 Each shirt includes 3 washable markers, so your child can get started creating asap. *Include your child’s name you want printed on the shirt in the “Order Notes” section at checkout.